Recently numerous people have asked me where they can find free images to use in their work and on their websites. I continue to direct these individuals to one of our blog posts where we listed online sources of free photos, maps and illustrations. Seems like it’s time to re-post that old list. 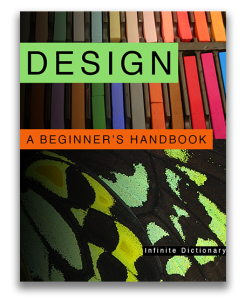 When we were writing our book Design: A Beginner’s Handbook we knew we wanted to illustrate every page with real world examples of design. We started off using our own photographs but quickly realized we needed an additional source for images. Working with almost no budget we weren’t sure how to proceed. This was when we discovered a large online resource of free photographs and graphics. Today I want to share what we found. You may need photographs for a blog or website you’ve created or you might want to manipulate found images in your artwork. Whether for personal or commercial use there are numerous sources available. Before I proceed, here are a few legal disclaimers you should know about. In addition to copyrighted work there are works that are in the public domain. These are usually older creations where the copyright has expired or instances where the owner has given up their rights to the work. In addition, pieces created by government agencies are usually in the public domain. These works can be used by anyone. Most of these sites do not require attribution, i.e. listing the name of the person who made the image, but when possible it’s always nice to acknowledge someone who is giving you a gift of their work. There are several different types of free photo sites. Some are communities where members upload their photographs, making them available to the public. Others are compilers that search the data bases of online sites and then present you with photos from those sites that fulfill your search criteria, such as oak trees, or mosaics. With this second type of site always look at the license for the image you want to download, since they will vary. The last type of site is what I’d call a photo blog – often the photographs from a single person or business that is offering their work for your personal or commercial use, usually posting new photos daily or weekly. Many of these sites support themselves by also selling either premium memberships or by selling photographs from companies like Shutterstock. It will be clear which photographs are free, and in the sites we’re listing that means most things on the site. Some sites require you to register in order to download the photographs. We registered with several and never encountered problems – i.e. from what we could see our information was NOT sold and we did NOT start receiving spam. The United States government has numerous sources of free images. A few favorites are NASA (space agency), NOAA (National Oceanic and Atmospheric Administration) and the Library Of Congress (which has public domain and copyright protected works). There are literally tens of thousand of images available, from high resolution images of galaxies to images of underwater reefs, to beautifully illustrated antique maps. You can spend days looking and there’ll still be more to see. The first three sites listed below are the ones we used extensively in our book. Since that time we’ve discovered the others – wish we’d known about them during those difficult years of writing and designing our book. This post was updated on April 11, 2017 to include Pond5. This entry was posted in Resources and tagged free illustrations, free image banks, free maps, free photos, image resources, public domain images. Bookmark the permalink.